Davey Lighting Products Are Made To Order And Non-Returnable. 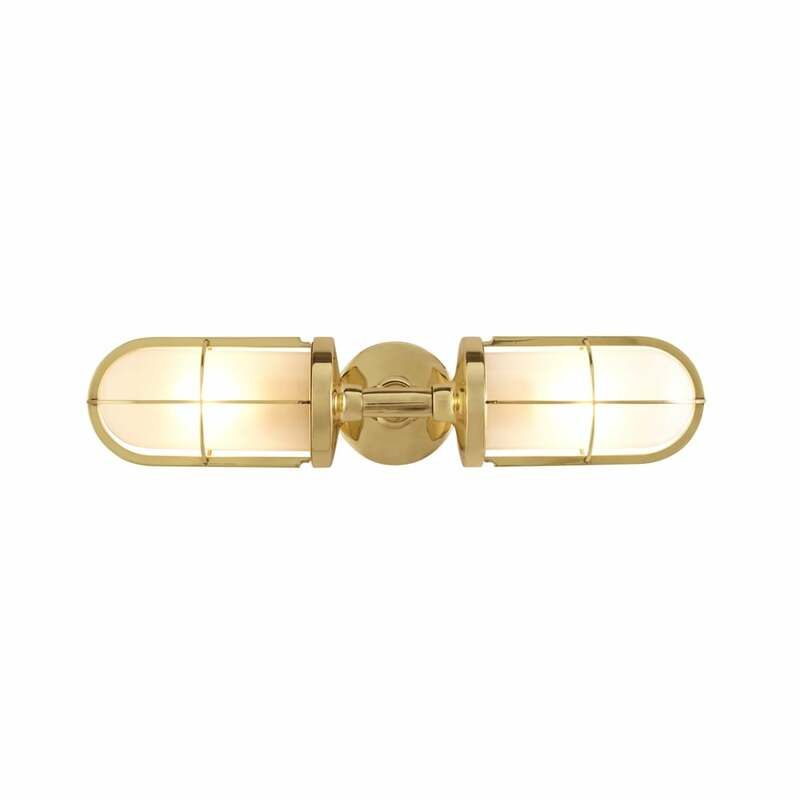 The 7208 is a typically attractive double ended marine inspired wall light from Davey Lighting. Using traditional craftsmanship, the 7208 light is available in weathered brass, polished brass and chrome plated finishes. It can be positioned both horizontally and vertically on an internal or external wall, and has the option of clear or frosted glass. Ideal for use with Vintage style bulbs. Moonlight Design recommends that all lighting should be installed by a registered NICEIC electrician.